Saturday 8th and 9th December from 11am—3pm, tours on the hour. Costumed guided tours with the added Christmas spirit! Come along to the Coffin Works and step back in time, experience a taste of Christmas in the Victorian factory. Your tour guide will regale you with Christmas snippets alongside the story of Newman Brothers. Standard admission prices apply. Pre-booking strongly advised as places are limited. 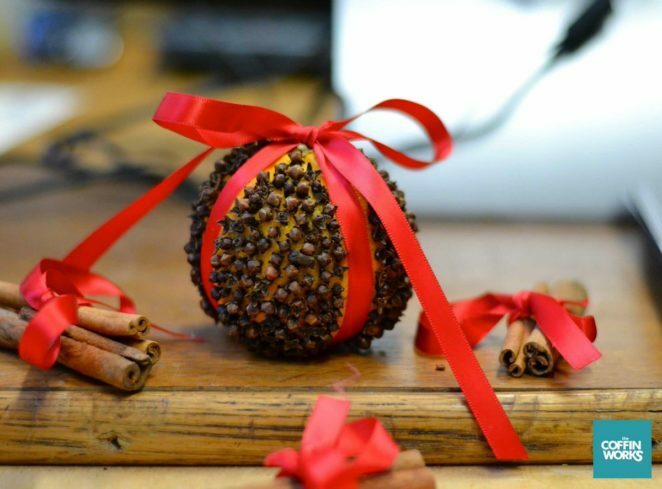 On Saturday 8th December from 12noon – 2pm there will also be a chance to try your hand at making traditional Christmas decorations including Pomanders for an additional £2 per person. No pre-booking necessary, just drop in!